Kiara Arrio is on the run and dying when four tall, dark, and gorgeous strangers find her in a crumpled heap along the road to the hospital she was desperately trying to reach.The small herd of stag shifters are immediately drawn to the injured woman, taking over her care as she recovers from her illness. They’re entranced by Kiara’s strength, her sass, and her sweetness, and do their best to woo her, hoping to claim her for their own.There’s just one problem: Kiara already has a mate. And she certainly didn’t run away from one only to find herself with four more. 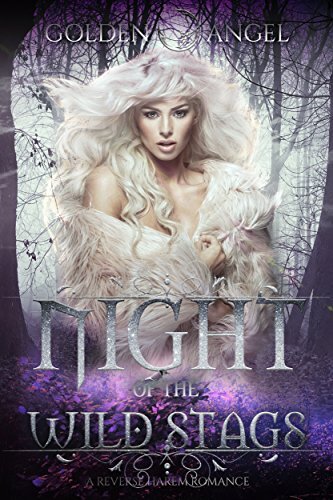 ******Night of the Wild Stags is a steamy standalone shifter Reverse Harem Romance, HEA guaranteed, set in Golden Angel’s Big Bad Bunnies world. It is not part of the BBB main storyline and it is not necessary to read the BBB series in order to read this book.